Politicians in New Delhi are no longer choosing only 5-star hotels for dining out. Stand-alone, niche restaurants are now the place to go politician-spotting. New Delhi: The prevailing image of white kurta-donning politicians laughing around a corner table at an exclusive restaurant at one of New Delhi’s top five-star hotels is fast fading. A new hangout culture for politicians is emerging in the capital city. 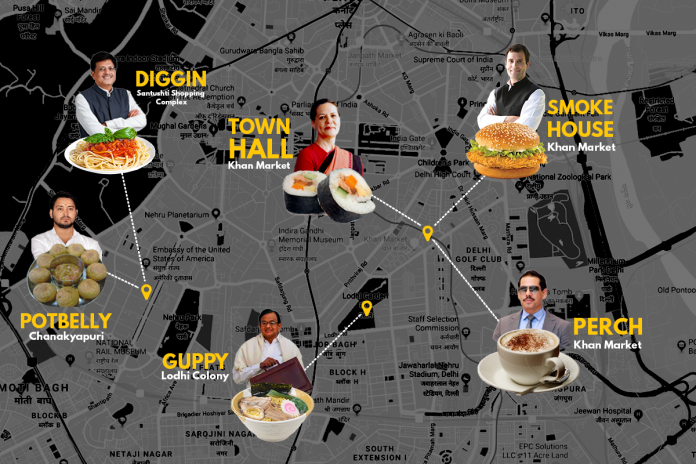 While the Oberois, Lalits, Tajs and Claridges have been old hits, a segment of today’s tech-savvy, meme-using, ‘in-touch-with-the-masses’ class of Indian politicians may be pulling out a chair beside you at these cool hangout spots in the city. While former J&K CM Omar Abdullah enjoys his Teppanyaki vegetables and California sushi roll takeaway, former finance minister P. Chidambaram likes his set lunches. Guppy has become a restaurant where politicians not only enjoy time with their families, but also have meetings. Guppy regularly serves customers from nearby embassies belonging to the US, South Korea and Japan. Gaurav suggests that the politicians have made the shift from hotels to standalone restaurants because there is more space to experiment, and the fact that these restaurants offer international hits at better prices. 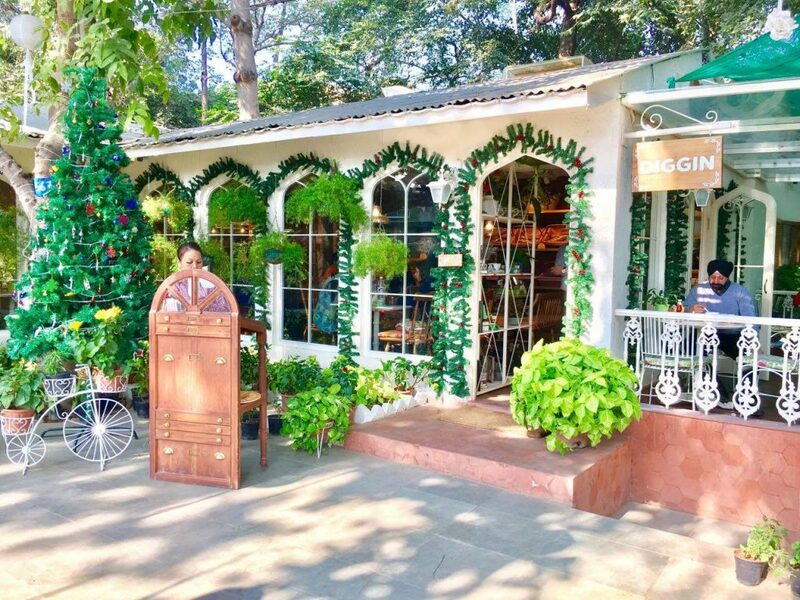 Diggin, an Italian restaurant, is tucked away at Santushti Shopping Complex, a high-end retail and food complex in Chanakyapuri’s diplomatic enclave. Manager Kamal says railways minister Piyush Goyal is a regular at the restaurant, which is famous for its pizzas and pastas. “He usually comes in after 10:30 pm with his wife, and has ordered our fettuccine pesto pasta and four-cheese pizza,” Kamal says. The restaurant, which usually doesn’t let patrons make prior reservations, makes an exception for ministers, judges and lawyers who frequent the place. Khan Market has become one of the costliest, and therefore ‘classiest’, retail locations in India. It is no surprise then that Rahul Gandhi frequently enjoys Smoke House Deli’s signature smoked chicken burger at their Khan Market outlet. He prefers to sit on the terrace, and always follows his meal with a hot cup of coffee. Union minister Smriti Irani has also visited with her family, ordering a variety of pizzas and pastas on the menu. The staff at Smoke House has become so used to seeing high-profile politicians, celebrities and sports stars that they no longer register it as a special occasion. Sheila Dikshit and Piyush Goyal have also stopped by for lunch. About seven steps past the threshold of Town Hall in Khan Market, one finds a wall of glossy photographs bearing smiling faces of cricketers such as Shikhar Dhawan and Harbhajan Singh, and film stars Sonam Kapoor and Parineeti Chopra. One also spies a demure-looking Rahul Gandhi standing next to his mother with take-away bags in hand. 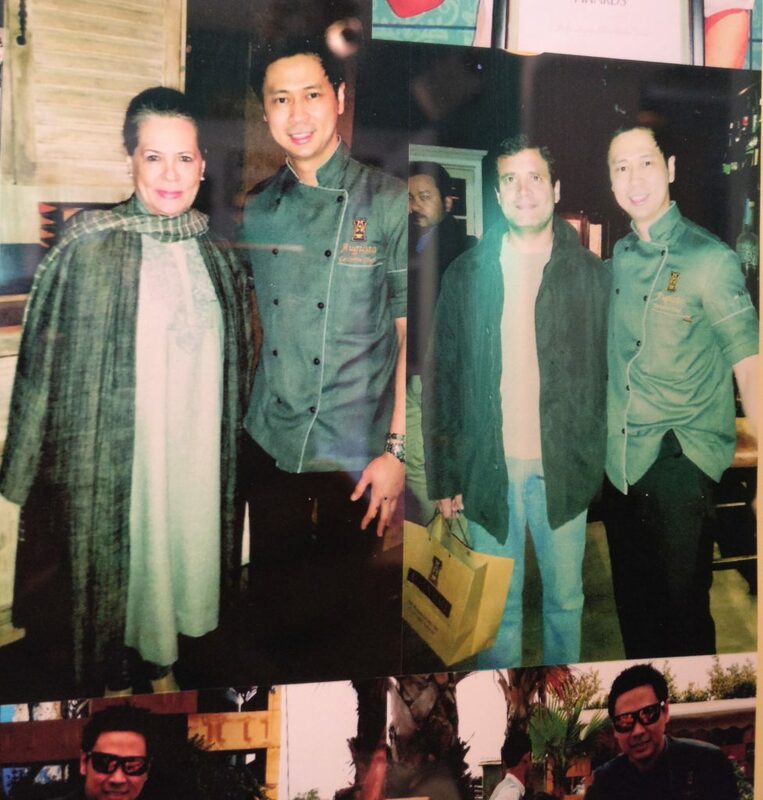 “The Gandhis really enjoy our sushi, specifically salmon and tuna,” says floor manager Kunal Kumar. He says the Gandhis are often accompanied by their extended family, stay for dinner, eat quickly, and leave without much fanfare. “No special arrangements are made for them; if there is a waiting list, we seat them at the sushi bar,” Kumar says. Politicians really like their coffee and are willing to make a slight detour to Khan Market to get it. 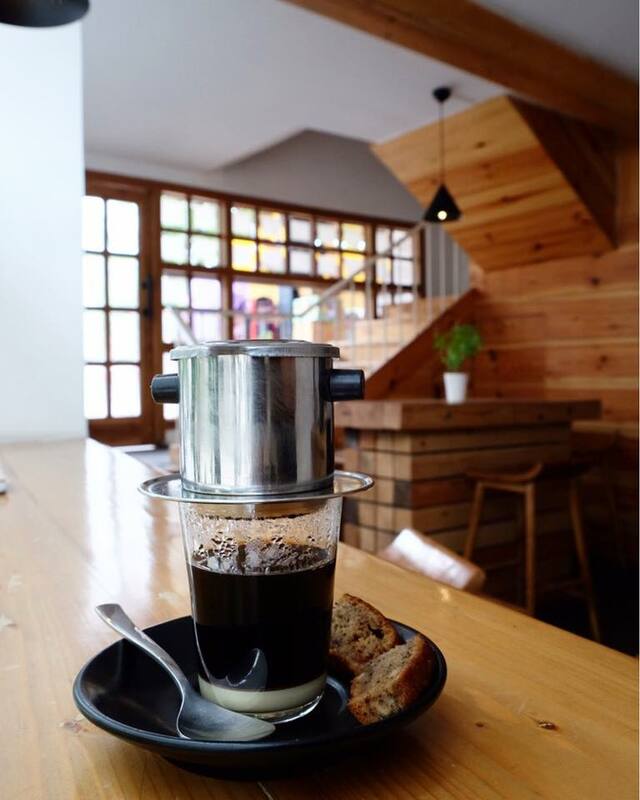 Located behind an unassuming glass door with a small minimalist sign, Perch opens up into an airy space that integrates natural lighting, greenery, and the aroma of house-brewed coffee. Robert Vadra regularly orders the flat white; a stronger version of cappuccino featuring two shots of espresso topped with milk. Executive chef Agnibh Mudi credits the success of standalone restaurants to their ability to match, and often exceed, the standards and experience that was earlier only provided by five-star hotels. “The location of Khan Market, very close to Lutyens’ Delhi, the embassies, residences of industrialists and business tycoons, makes it easier to commute for high-profile customers. Our way of service and quality of beverage and food is probably up to their standards. After all, Khan Market is still what it has always been,” Mudi says. 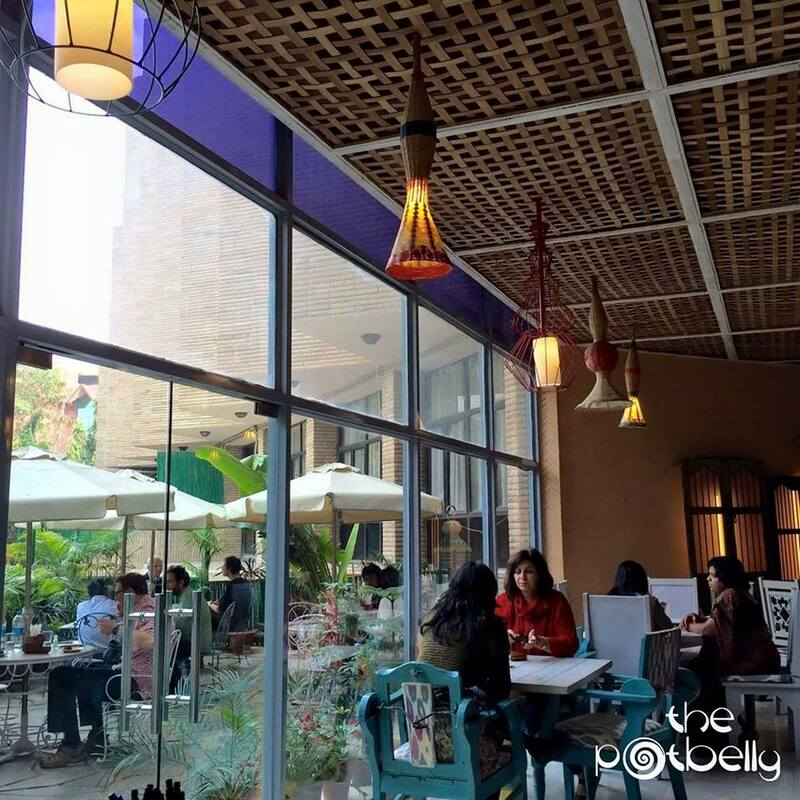 Located in the heart of embassy-land Chanakyapuri, the Potbelly Cafe at Bihar Niwas incorporates authentic Bihari cuisine with a twist of modern sensibility. Bihar’s former deputy CM Tejashwi Yadav, son of Lalu Prasad Yadav, often spends around 30 minutes to an hour here for dinner, ordering the renowned Litti thalis — a traditional Bihari dish consisting of whole wheat balls with spiced stuffings of various kinds. 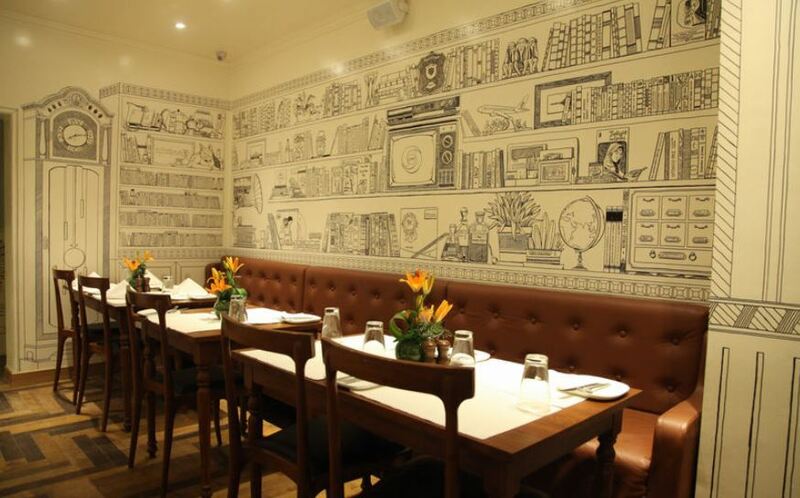 The restaurant is also regularly visited by diplomats, embassy officials and expatriates. It’s a thing? Politician spotting? Delhi seriously needs better sources of entertainment.